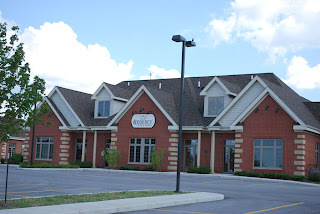 Mokena, Illinois (July, 2013) Olivieri Real Estate LLC, is pleased to announce the completed lease for Equity Loans, LLC located at the Regency Office Suites occupying Suite 202 at 10062 190th Place, Mokena, Illinois. Equity Loans, LLC is a mortgage lender whose operations extend to over 32 states. They provide a variety of mortgage products to assist you with finding solutions to all of your mortgage needs. Their company has Certified Underwriters on staff which allows issuing a decision on your application quickly. They maintain a dedicated professional sales and operations staff that insures the closing process is quick and efficient. Regency has 18 shared offices, with a common conference room, break-room and reception. All utilities and internet are included in one low monthly bill. If you are interested in available office space, please contact Olivieri Real Estate LLC, at 815-469-6400, or visit our website at www.solutions4buildings.com.